Poetry seems to be something that people either love or hate. Rarely is there someone who is indifferent to poetry, especially when required to study it in academia. These days there is lots of poetry available to be read, both good and bad, both traditional and modern. Some people love to read poetry because of the rhythm, but they admit they don't really understand the meaning of it. Sometimes poetry can have such deep meaning it's hard for an untrained person to uncover what was placed between the lines. Thus, many poetry readers are very reluctant to review it, thinking they are not at all qualified to do so. Did you know there are expert writers who understand poetry and are experienced in reviewing it? 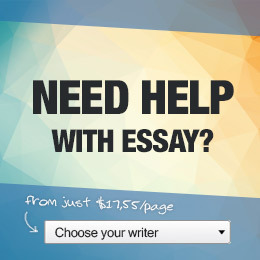 You can find academic writing help online to help you write that poetry review, you've been assigned. You no longer need to feel lost and not knowing where to start! You can even hire an experienced reviewer to walk you through the steps of a review so you can write it yourself. Read the assigned piece of poetry. Just read it through the first time to get an overall feeling for it. Write down some of your feelings. How did it touch you or affect you? Do you feel certain emotions from the poetry? What was the flow like, and the rhythm? Was it smooth or choppy and bumpy? Read the poem a second time; this time out loud. Interestingly, this helps to make it more clear and easier to analyze. Form an overall impression of the poetic work. This is more formal than the first step. Especially because you have now read the poem at least twice, there will be additional insights coming to you that you didn't recognize the first time. Poetry is all about conveying emotions to the reader. The writer hopes to have touched someone. Analyze the technical aspects of the poetry. What about the form and style? Did they seem to fit with the theme? Did it seem awkward or did it flow smoothly? Did you discover hidden meanings, or hidden gems within the poetry the writer placed there in hopes the reader would find them? What were they? What are your suggestions? Is there anything you would do to change the poetry to make it clearer? To make it better?